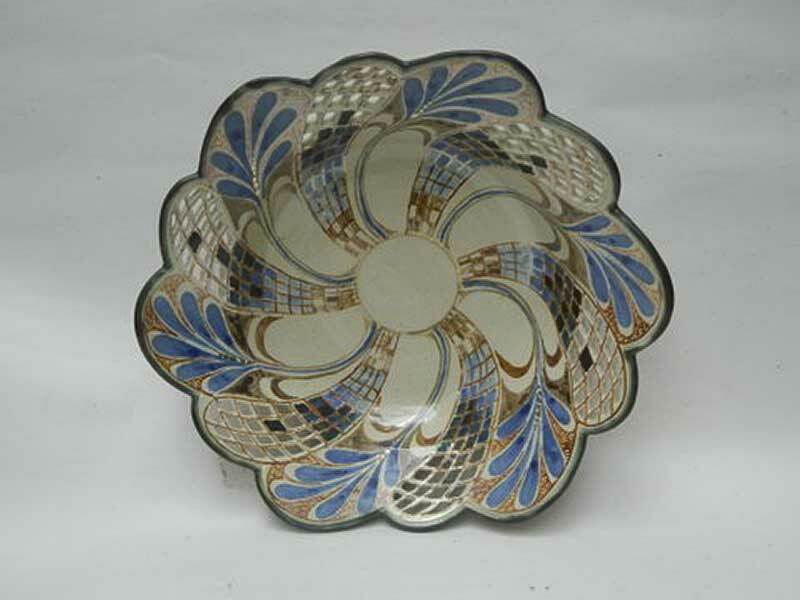 Slab built porcelain tableware with the original blue porcelain glaze. 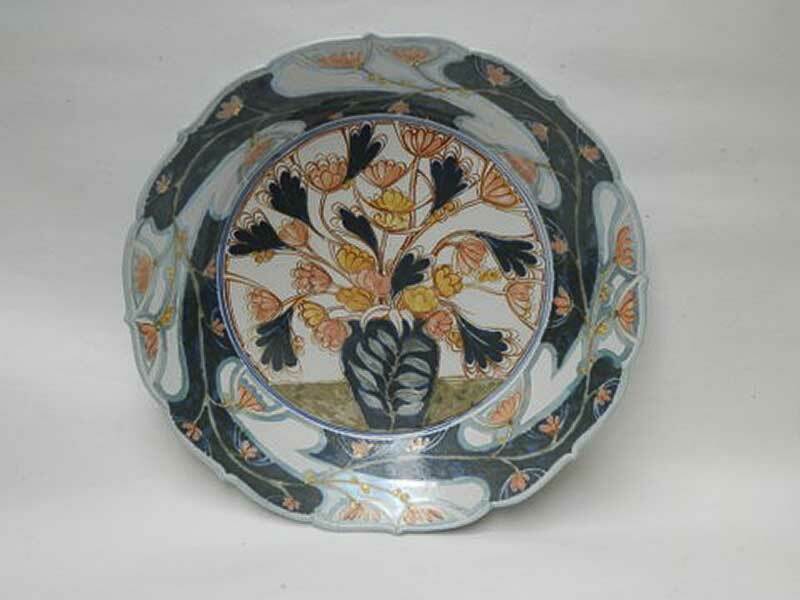 The clay is Royale Porcelain clay. 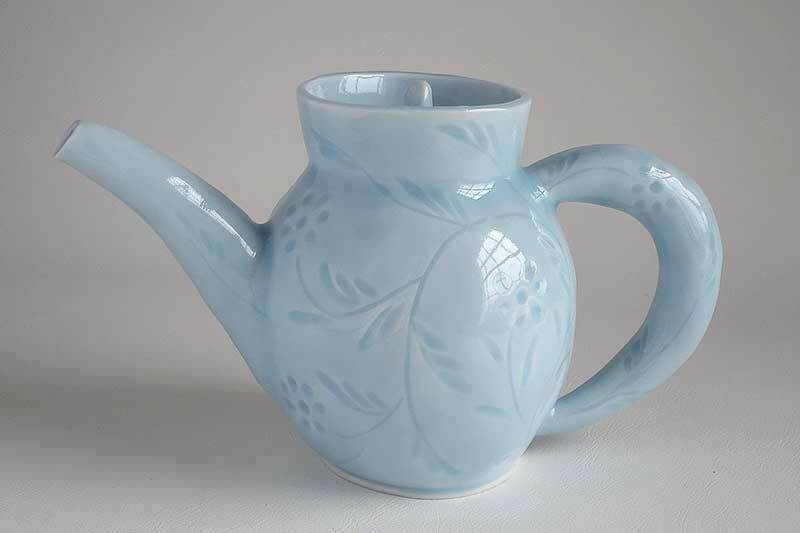 The blue colour of the glaze comes from very small percentage (less than 1%) of iron oxide in the clear glaze which consists of mainly Potash Feldspar, Quartz and Barium Carbonate. The pots are fired to cone 8 (1260C) in reduction condition. The workshop is in Moretonhampstead which is situated on the north side of Dartmoor. 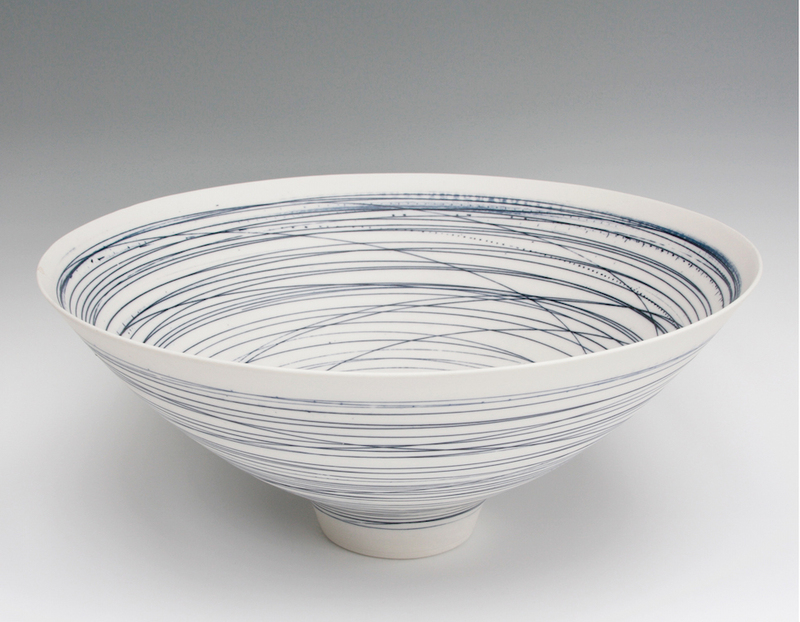 Nicola Tassie is a ceramicist whose work focuses on the conceptual and material possibilities of domestic forms. 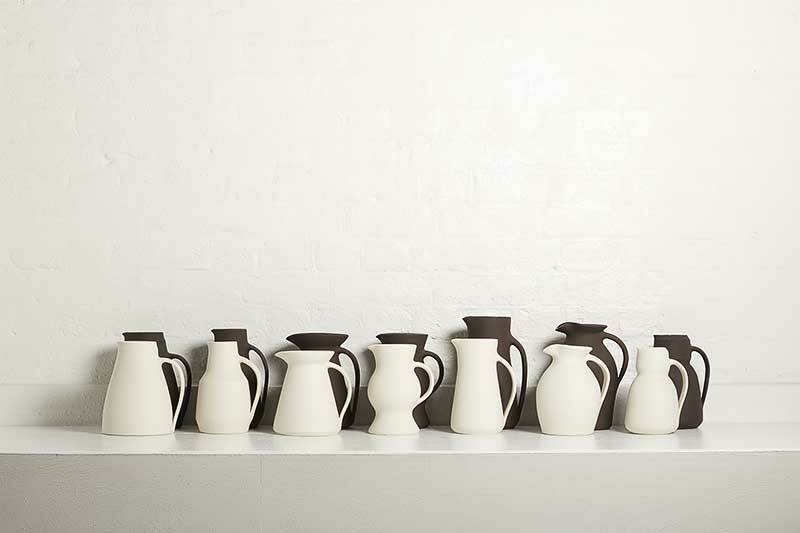 She follows the studio pottery tradition to produce small batch editions of domestic ware which also form the basis of more sculptural still live sets and installations. 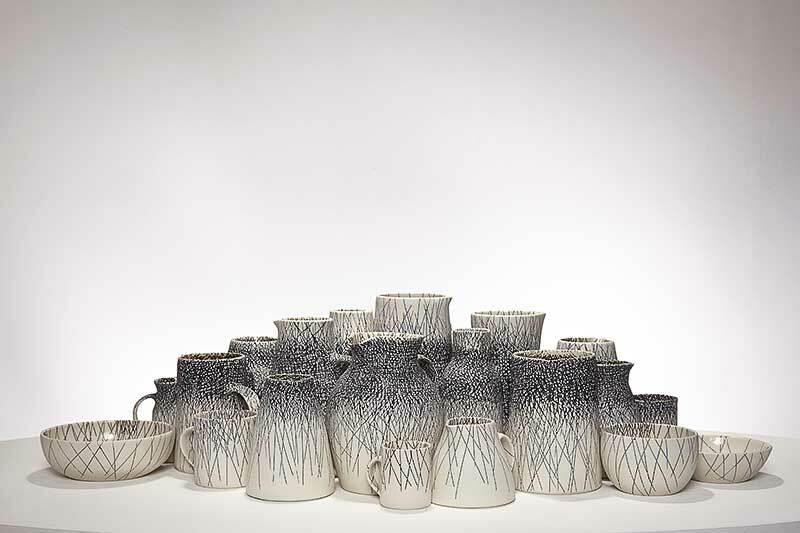 She has an ongoing collaboration with the designer Margaret Howell and her work is stocked at Contemporary Ceramic, London and The Wills Lane Gallery in St Ives. She is a founder member of Standpoint Studios and is Director of Education projects. 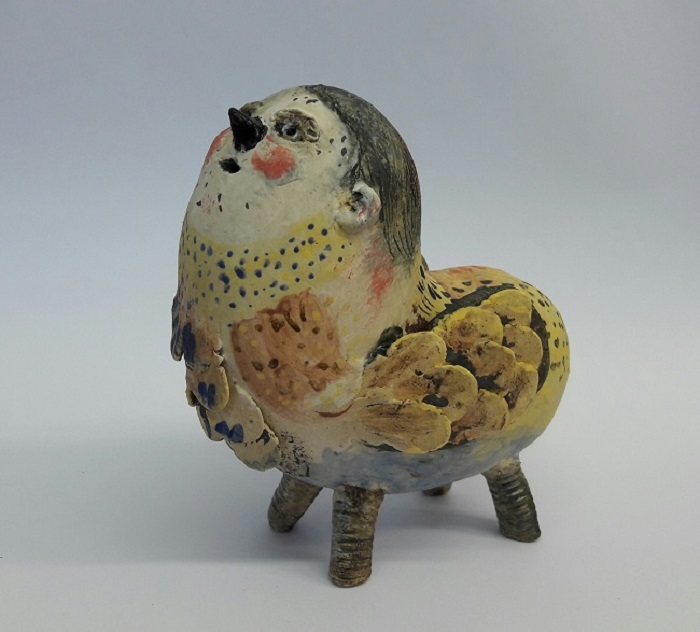 My work is handbuilt in earthenware, and has multiple layers of imagery built up through painted and monoprinted slips, linocut inks, glaze, decals and lustres. It’s nonfunctional. 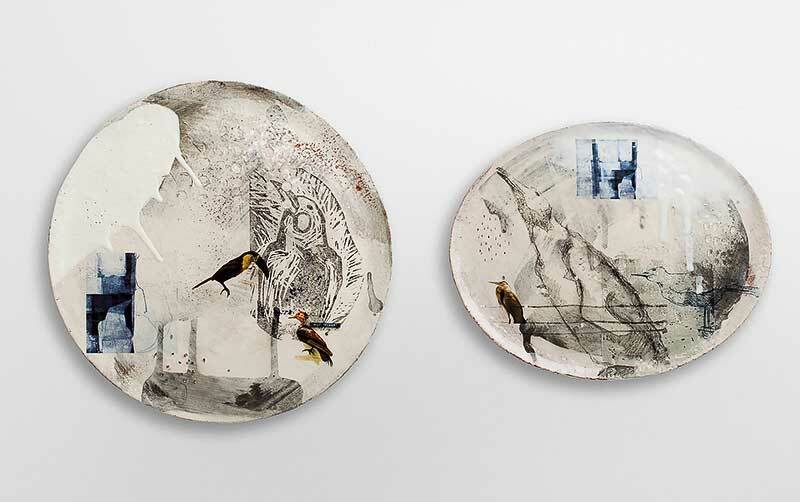 Recent work explores themes of museum taxidermy displays. I'm currently based in Edinburgh. 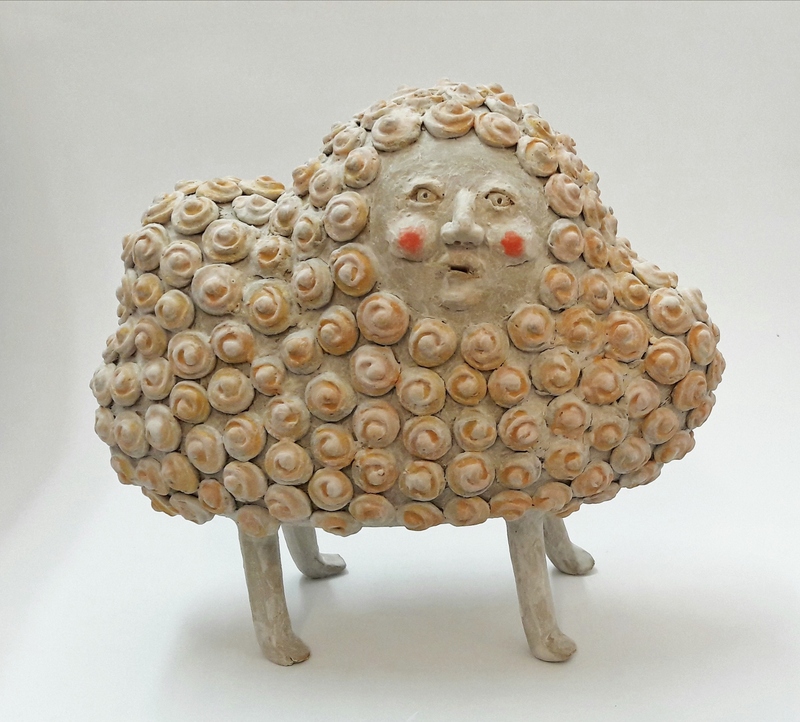 Works in stoneware and porcelain. 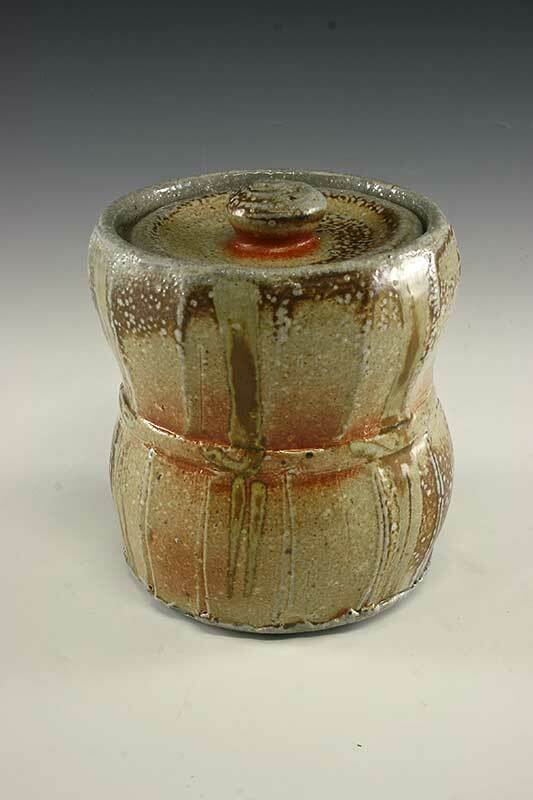 All work mid temperature stoneware and sometimes followed with a further lustre firing. Production split between commissioned celebration pieces which include lettering and, recently, lots of large painted plates. With a background in graphics, I have always drawn and designed and love the energy of random lines or marks, from a sketch, painting or found on stones or peeling paint. 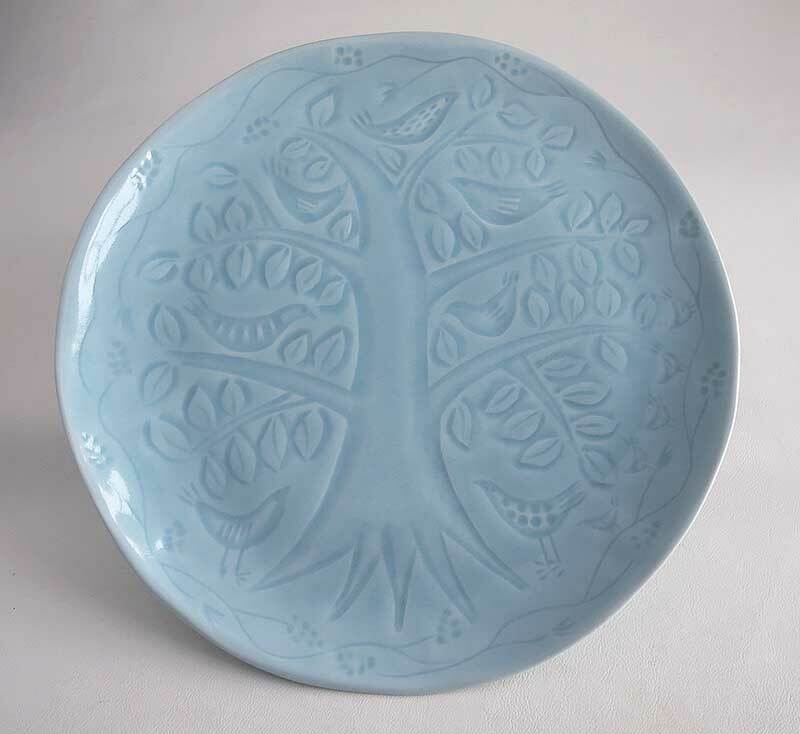 I still draw and paint, alongside making pots, and I enjoy how a simple line or mark can completely alter a piece and how the same shapes repeated, but with very different decoration, can form a cohesive family. 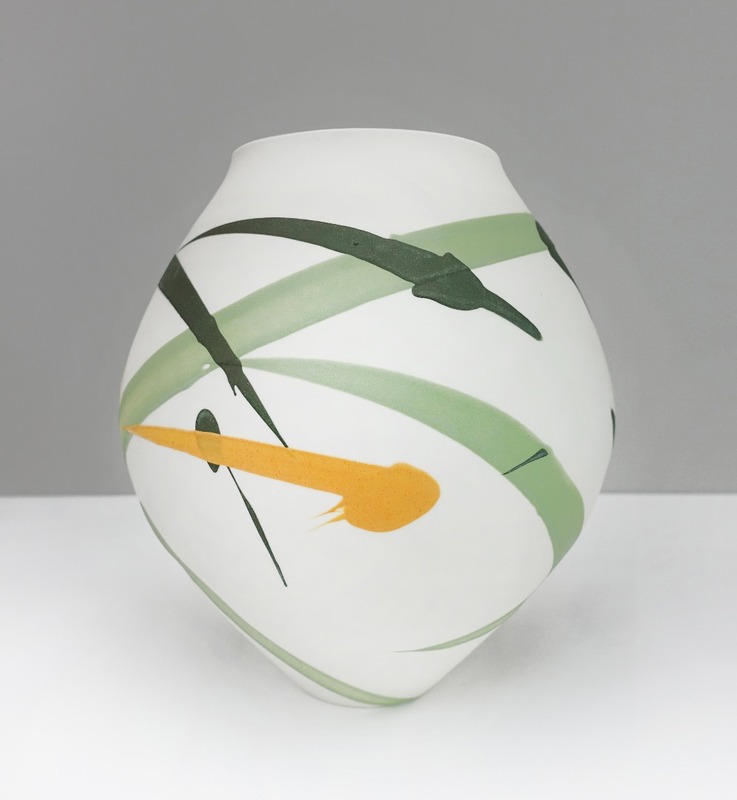 My work is a collection of thrown, uncluttered porcelain forms. I throw and turn the pieces to a fine finish where I then apply my marks. I work with the chalky surface, applying stains, oxides and slips, splashing and sponging away areas, adding inlaid and sgraffito lines, aiming to create imperfect and unpredictable marks. 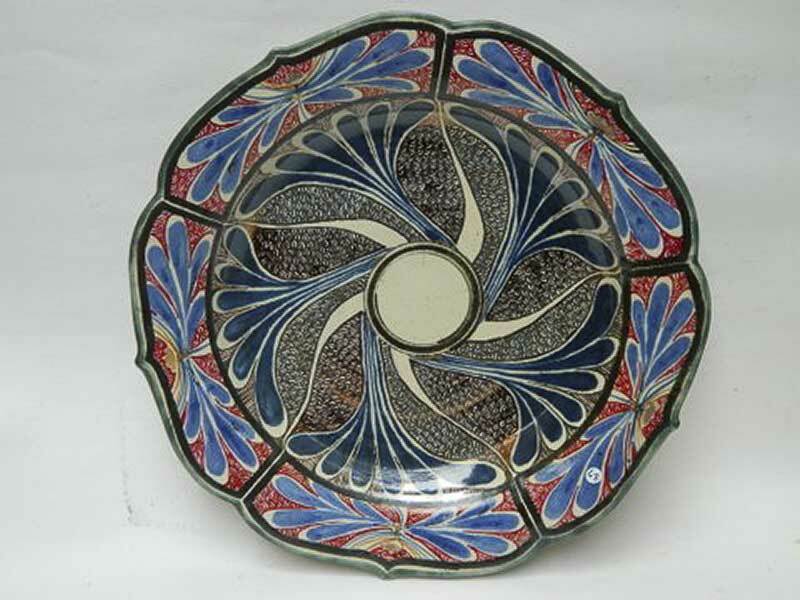 Most decorating is carried out on the wheel to convey a feeling of movement and spontaneity. 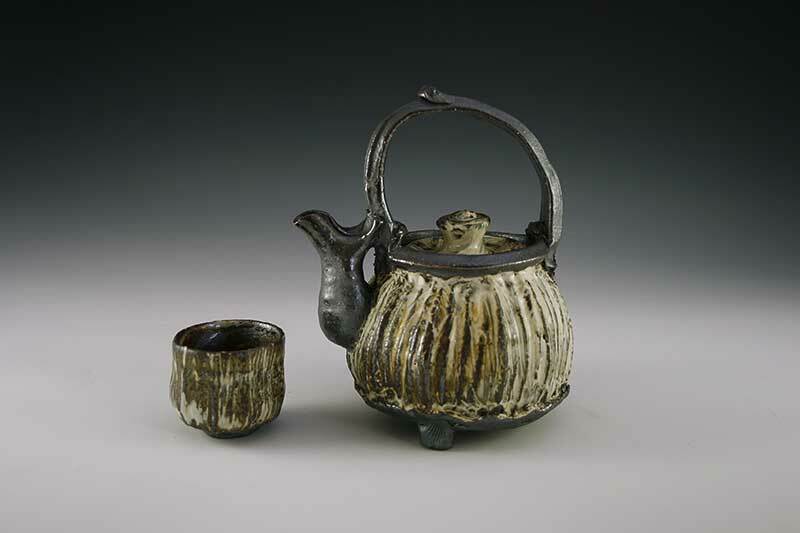 I use a bold, but muted, palette on the white clay, giving the hard porcelain the appearance of softness and my work is often described as calm. 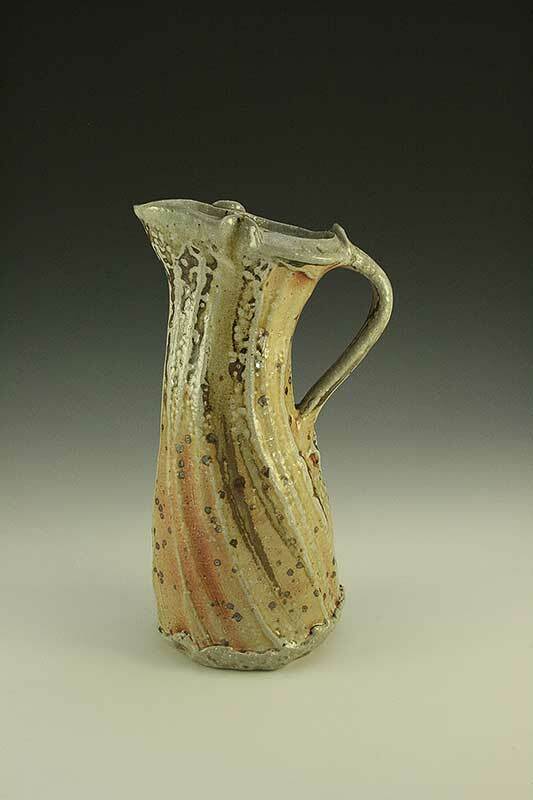 I leave most of the surfaces un-glazed, which lends a paper-like, tactile quality to the pieces. I work from my studio in my garden just outside Farnham, Surrey. 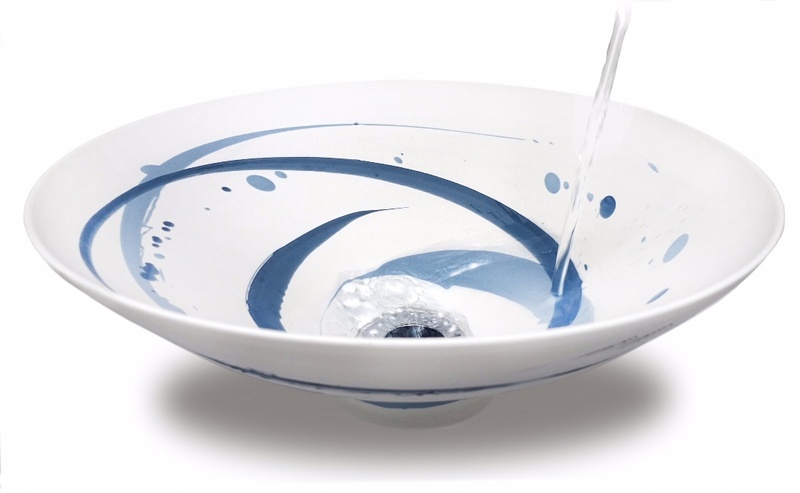 "My pots are thrown on a momentum wheel where they are manipulated and assembled wet. My focus is mainly on good form that reflects my individual vision. 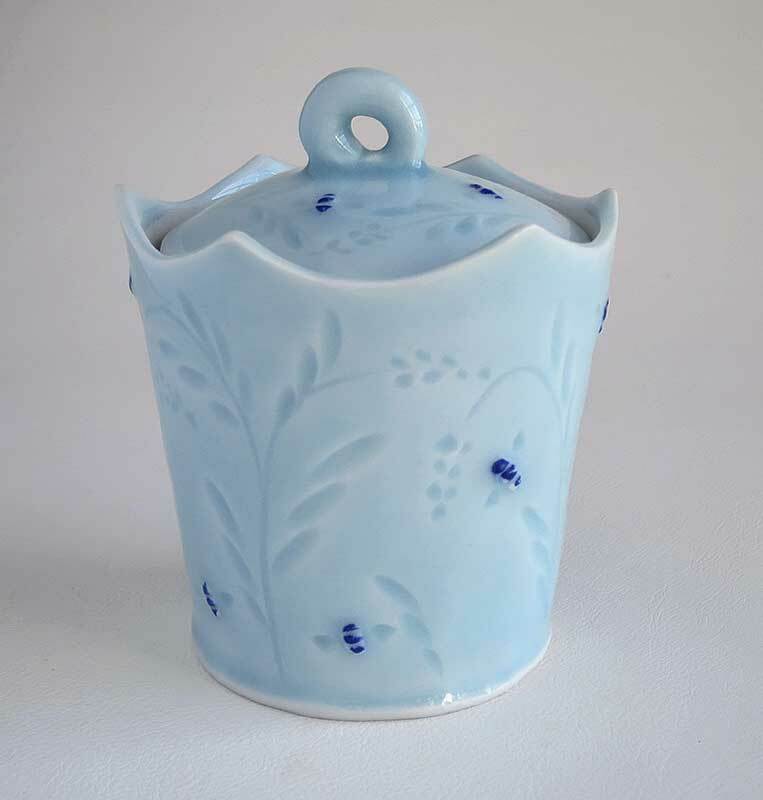 My pots are made for use and enjoyment in the preparation, serving, eating and storing of food and sometimes they can be simply for contemplation". 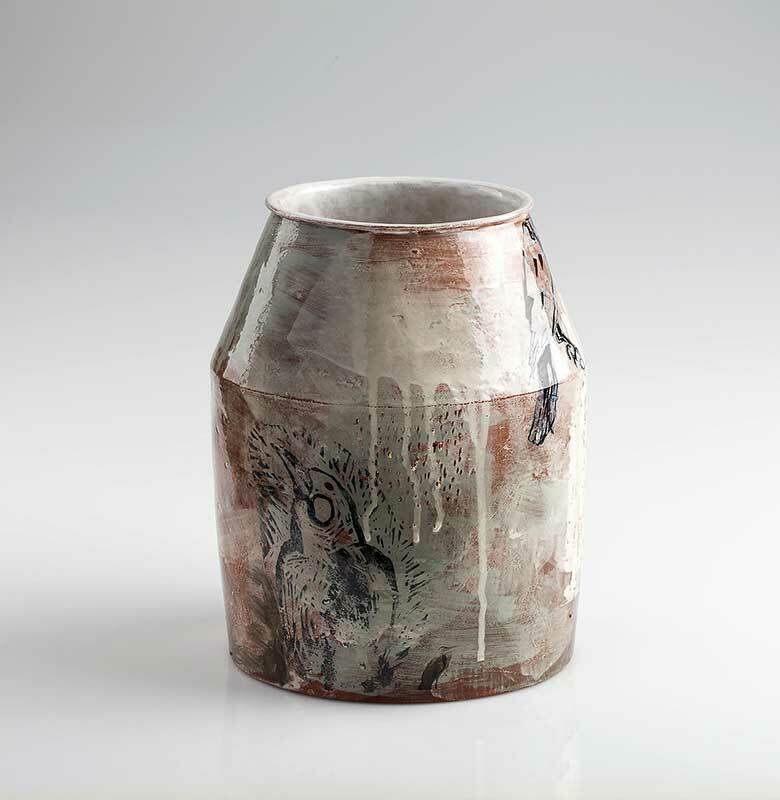 Work is stoneware, slip decorated and once-fired to 1300C in a wood/gas kiln where it is soda vapour glazed. I live in mid-Norfolk, and my studio is open to the public, but if coming from any distance it is advisable to telephone to ensure I am in my studio. 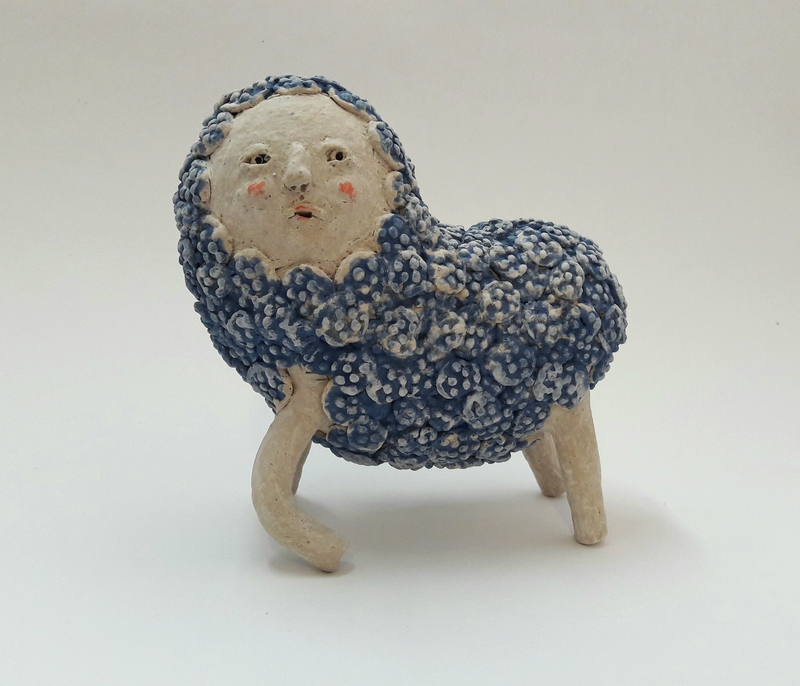 Wonderbeasts are a series of small scale ceramic pieces that are influenced by medieval illustrations, fairy tales and Outsider art. Storytelling is a key theme to these pieces, suggesting distinctive characters and individual narratives. 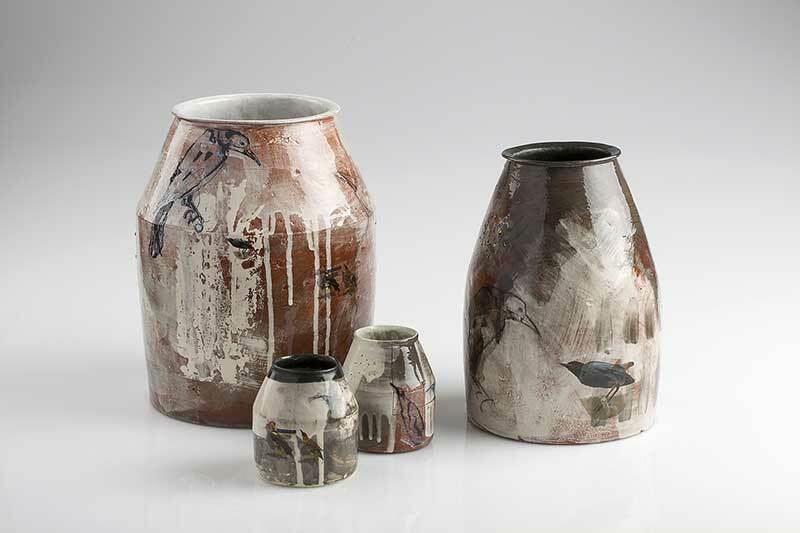 Created from a mix of hand building and press moulding and using washes of coloured slips, underglazes and oxides, these objects feel alive and purposeful. 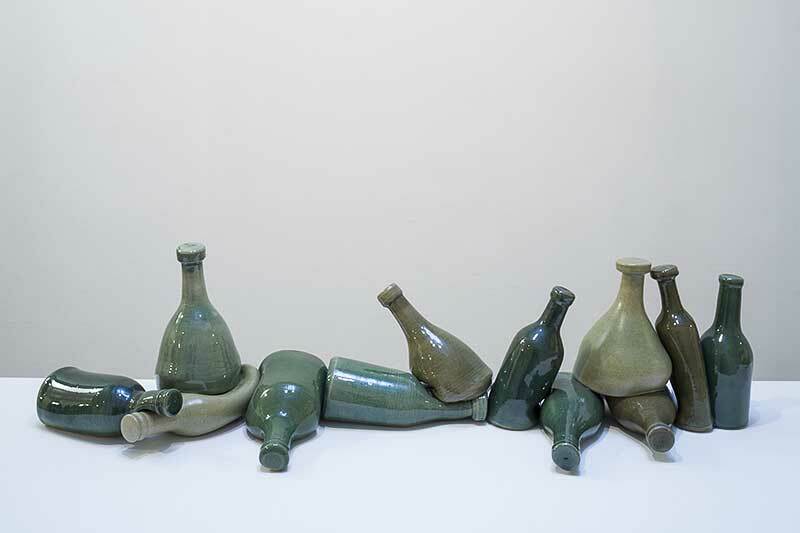 Since graduating from the University of Brighton in 1992, I have taught at Central St Martins Foundation Course, made work for galleries and retail as well as receiving commissions from the Arts Council and Liverpool Biennial. 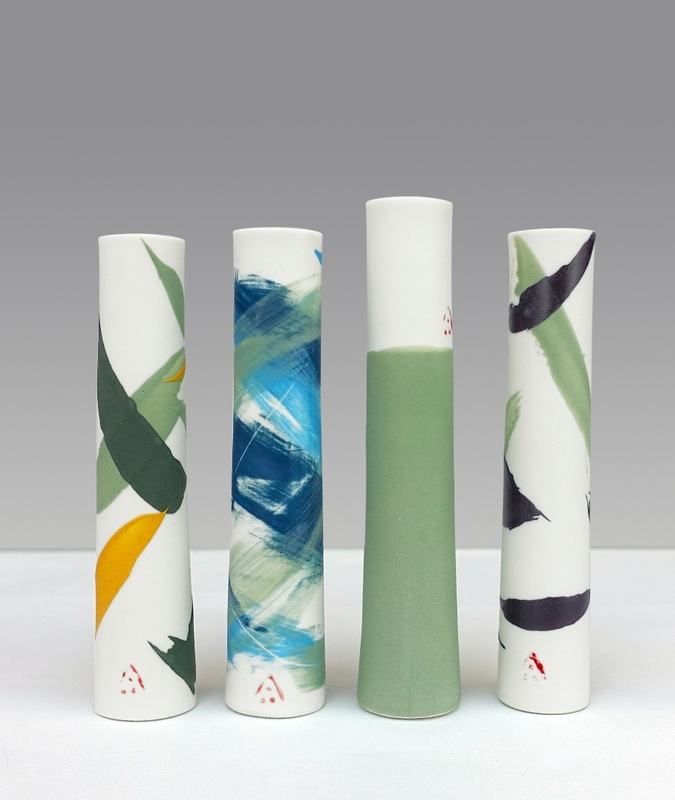 I was ceramic consultant to Turner Prize winners Assemble and now run Baltic Clay which is a studio based in Liverpool that provides the space and support for artists to work in clay.